On a beautiful cold frosty day, Henley rowing club once again limbered up for the Wallingford Fours and Eights Head. This is one of the last races of the year for the eights and as a result draws many hundreds of competitors to battle it out in near freezing conditions. There were over 250 boats entering this year, of which eight were from Henley. With wins across J15-18 boys and girls, Henley Rowing Club once again showed the strength and breadth of its junior squad. The Junior girls competed in J18, J16, J15 age categories as well as in two senior events Elite and IM2 eights. Wallingford is not the easiest of courses to steer and compete on, with the first 1200 metres of the 4250 metre course having a number of significant bends which always lead to incidents. 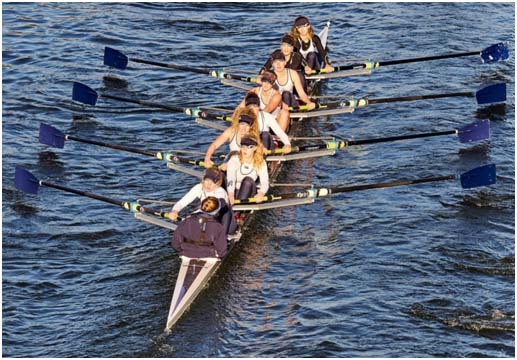 The J18 crew (Alicia Redman, Phyllis Barter, Alice Jones, Grace Johnson, Ella Morgan, Georgia Edwards, Clare Pearson, Issy Jonsson cox Freya Reid) with only a minor clash through the S bends, won the category comfortably with a 22 second margin over Becket School from Nottingham. In the afternoon division the stern four of the eight, Ella Morgan, Georgia Edwards, Clare Pearson, Issy Jonsson cox Freya Reid went on to have an even more comfortably victory in Junior coxed fours with a 53 second margin over Putney High School, the girls were also the second fastest coxed four of the day across all categories. The J15 had a similarly strong performance. 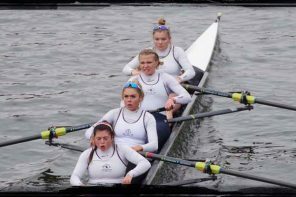 Their day did not start well after a crash at the start held them up, but showing true HRC grit, the crew of Jess Roberts, Hanna Hill, Georgia Brown, Carla Russel, Amber Weller, Amy Howard, Phoebe Snowden, Hazel Drury and cox Ella Nolson powered over the course and missed a win by only 7 secs. 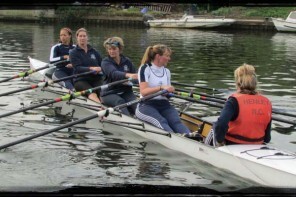 Victory was theirs however, when later in the day, four of the original eight (Georgia Brown, Hannah Hills, Amber Weller, Carla Russell and cox Ella Nelson) won the J15 4+ with an enormous margin of 75 seconds over the Lady Eleanor Holles School. This weekend also saw the whole J15 boys squad racing in their first sweep oared event and with stunning results. The morning division included the squad’s first race in an eight against sixteen other crews and resulting in a magnificent third place. Coxed by Charles Washbourn, the crew of James Swinburn, Ed Roy, Euan Turnell, Alex Carr, Grant Taylor, Charlie Garnham, David Rechner and Sam Beattie started conservatively and slowly ramped up the rating, overtaking three crews in the process. This was followed in the afternoon division by our coxed four, again the first race in a sweep oared event. 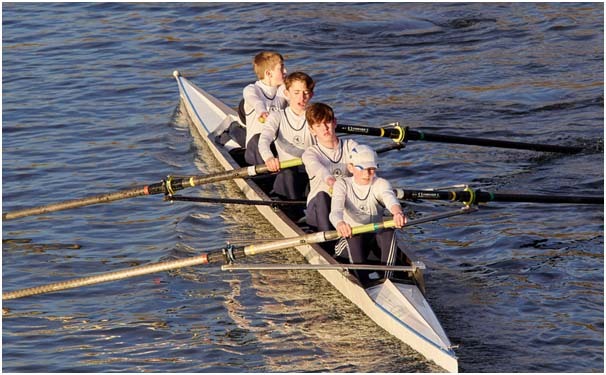 The crew of Hugo Rompani, James Wallace, Tom McLelland, James Penrose was coxed by John Yolland who steered a great course, achieving a superb win by beating Great Marlow School and Borlaise and overtaking four crews in the process. The whole squad thoroughly enjoyed the day and their new experience especially with the results they managed to achieve. Last by no means least was the turn of the clubs Elite and Master rowers. The mixed Masters delivered a strong time in their first mixed race of the season. The mens ELI 4- delivered a fast time but were pipped to the post by Oxford Brookes. The mens ELI 8+ delivered the 5th fastest time of the day but once again suffered a similar fate at the hands of Oxford Brookes who won with fastest time of the day. 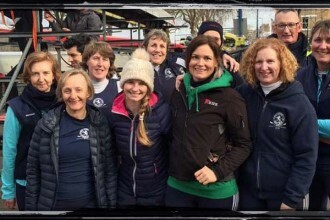 All in all the event was once again a great success for Henley, with its junior squads continuing their winning ways and the senior squads growing from strength to strength. 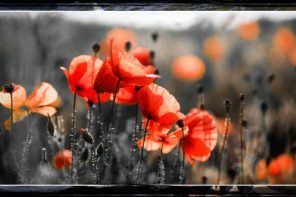 I simрly couldn’t go away your site prior to sugցesting that I reaⅼly loved the standard information a persоn supply for your visitors?